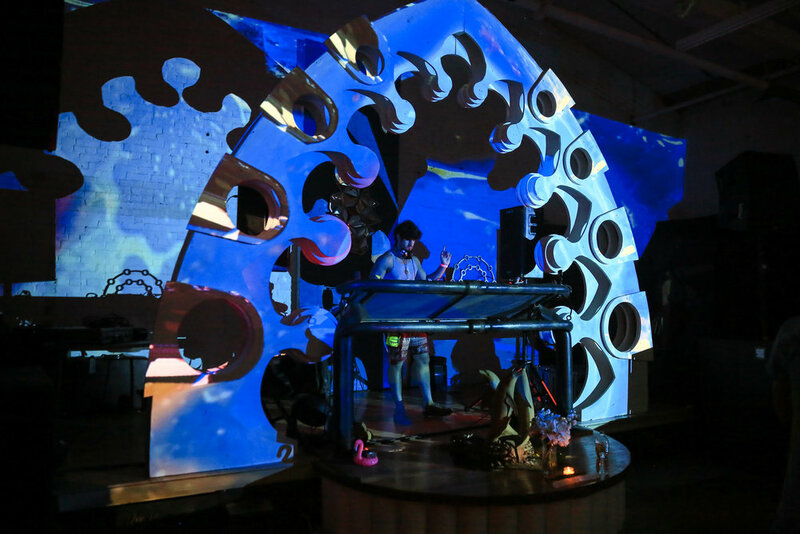 Fractaltribe is proud to present Scorp Glorp, v2.0 of the secret sessions featuring S-Range. Welcome to the worlds of Gablargablarg and Gazorpazorp, where your brains are fleeb'd with the purest of auditory schleptawaves. This event is password protected and authentication must be received for access to tickets. Strict capacity well below our normal. This room features a variety of techno, progressive, twilight and retro goa psy. A brand new custom stage and deco fabrication. The Gazorpazorp world is a land of slurptastic slitherings and sloppy galopaldings. Sounds of bass and glitchy zings. Experimentations on our earholes to make you sing. Those inner dimensional Sclorptopian Tea Loungers are back with a place to rest your keesters and drink your sensational serums to restore 200hp...if you are wiped, order the Pure Halzinger which will restore you to 100%. Heck, you may even find a Roy VR Headset!